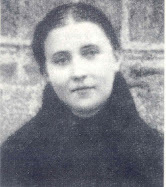 Details on the Autobiography of St Gemma Galgani and how the devil tried to destroy it. From February to May 1901, St Gemma was ordered to write a "General Confession" (Autobiography) by her Spiritual Director, Father Germanus C.P. 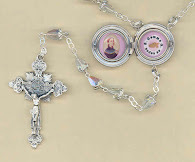 , in order that he might be able to better direct her spiritual life. It filled 93 pages of a notebook, all hand written. -She calls it "The notebook of my sins". 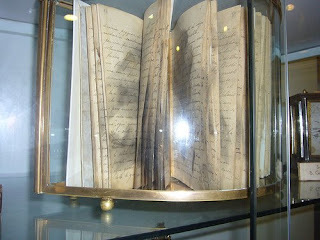 The original handwritten Autobiography still exsists, and is on display at Saints John and Paul Basilica in Rome, Italy. Gemma's beautiful handwriting is still very legible, however the remarkable thing is that each page has the appearance of having been burned. "Gemma manuscript, when finished, was by my orders given to the charge of her adopted "mother", Signora Cecilia Giannini, who kept it hidden in a drawer awaiting the first opportunity of handing it to me. Some days elapsed and Gemma thought she saw the Demon pass through the window of the room where the drawer was, laughing, then disappearing into the air. Accustomed as she was to such apparitions, she did not think too much of it. But he (the devil) having returned shortly thereafter to molest her with a repulsive temptation, as often happened, and having failed once again, left gnashing his teeth and declaring exultantly 'War! War! Your book is in my hands!' After this, she immediately wrote to tell me. Then, owing to the obedience I gave her to disclose to her adopted mother (Cecilia Giannini -editor) everything extraordinary that happened to her, she therefore was obliged to tell her what had just occurred. They then went together and opened the drawer, and discovered that the notebook was indeed missing. I was written to at once, and one can easily imagine my consternation at the loss of such an important treasure. But, what was to be done? I thought a great deal about it and just then, while at the tomb of Blessed Gabriel of the Sorrowful Virgin (now St Gabriel Possenti -editor), a fresh idea came to my mind. I resolved to exorcise the devil and thus force him to return the manuscript if he had really taken it. With my ritual stole and holy water I went to the tomb of Blessed Gabriel and although nearly 400 miles from Lucca, I pronounced the exorcism in the regular form. God seconded my ministry and at the very same hour the notebook was restored to the place from which it had been taken several days before. But in what a state! The pages from top to bottom were all smoked and some parts were burned, as if each one had been separately exposed to strong fire. Yet, they were not so badly burned as to destroy the writing. This document, having thus passed through a hell fire, is in my hands." Here is a picture of the original handwritten Autobiography that is on display at Saints John and Paul Basilica in Rome, Italy. Gemma's beautiful handwriting is still very legible. Given the extraordinary spiritual treasure contained in the Autobiography, one can rightly understand why the Devil sought so earnestly to destroy it. "....but my greatest affliction was not being able to love Jesus as I wished. I tried eagerly not to offend Him, but my bad inclination to evil was so strong that without a special grace from God I would have fallen into hell. Not knowing how to love Jesus caused me much concern, but He, in His infinite goodness, was never ashamed to humiliate me in order that He might become my Master. One evening when I was at prayer, He came to bring peace to my soul. I felt myself entirely recollected and I found myself for a second time before Jesus Crucified. He said to me "Look Daughter, and learn how to love" and He showed me His five open wounds. "Do you see this cross, these thorns, these nails, these bruises, these tears, these wounds, this blood? They are all works of love; of infinite love. Do you see how much I have loved you? Do you really want to love Me? Then first learn how to suffer. It is by suffering that one learns how to love". On seeing this, I experienced a new sorrow, and thinking of the infinite love of Jesus for us, and all the sufferings that He had undergone for our salvation, I fainted and fell to the floor, and I remained thus for several hours. All that happened to me during these times of prayer brought me such great consolation, that although they (ecstasies -editor) were prolonged for several hours, I was not at all tired. I continued to make a Holy Hour every Thursday, but sometimes it happened that it lasted until around 2:00am, because I was with Jesus, and almost always He would give me a share in the grief that He suffered in the Garden at the sight of my many sins, and those of the entire world. It was such a deep sorrow that it could well be compared to the agony of death. After all this I would experience so sweet a calm and consolation that I had to give vent to it in tears. And these tears made me taste an incomprehensible love, and increased in me the desire to love Jesus, and to suffer for Him." For more info on the devils attacks against St Gemma see "Satan wages war against St Gemma and tries to seperate her from her loved ones"
it is worthy of note that Saint Gemma "saw" the evil one's dark ominous presence (and we should never forget that "it" lurks around and "searches for whom it might devour" . . .
but . . . even more worthy of note and of our thoughts is that Saint Gemma saw her Guardian Angel (and she was graced to see him presented in a "physical presence" or perception underlining the "reality' of our guardian angels, not their physicality) . . .
so, while Saint Gemma's holy life reminds us to be aware of and cautious of "the devil", she teaches us to be be more aware and concious of our angel (who never deserts us) who assists and helps us in directing us to Jesus and His love. Yes, Gemma was perhaps about 14 years old when she was given the extraordinary gift to see and be guided by her Angel. This grace continued to her death. As we read in her Autobiography and Diary, her Angel guided and instructed her in virtue, along with protecting her from numerous evils and traps of the devil. Her Angel also corrected many times when it she would fail to do something, or if she was doing something that was displeasing to God. As a side note however, I will say that while the Saints and great Catholic spiritual directors have always encouraged devotion to our guardian Angels along with our Blessed Mother and the Saints, they frequently remind us that familiarity with them is a extraordinary grace given by God to chosen souls for their "mission" in life, and such familiarity is not to be sought after by those of the majority of us who are upon the common spiritual paths. The danger for the ordinary soul in seeking such graces is the devil who can easily disguise himself as an angel or anyone else in an effort to decieve, as he did on SEVERAL occasions to St Gemma. On one occasion he (the devil) appeared to her as her Confessor, Father Giovanni Volpi, and tried to decieve her. Eventually God and her spirtual director told her how to distinguish between heavenly visitors, and the evil ones. As soon as they appeared to her she would say "Blessed be God" or "Blessed be Jesus" and the heavenly visitors would always reply back in the same way, but those of the demonic or evil kind would not reply or at most only reply "Blessed be". In this way she was able to distinguish the heavenly visitors from the evil ones. Since I started this website last year, I have recieved numerous emails and letters with similar stories like yours of St Gemma's intercession. I can only reply -thanks be to God and His servant, St Gemma! Thank you for your kind comment and may God bless you and yours. Hello, can you tell me what day is Saint Gemma's Feast Day? letter and book order ? Nancy Sartori from Illinois. Thanks Glen. I just recently read about Saint Gemma's life. I identified with it for I have been harrassed by some demonic presence. It's activity has increased and decreased over a period of about 3 years. It usually starts weighing dowm my legs and feet. Then When I am resting I feel the pressure of it on my head and face. It feels like it is trying to bite my toes. I pray to God everyday for it to go away.I start thinking that my prayers are not holy enough, but I realize that is what Satan wants me to think. I just keep praising God. I ask him what am I to learn from this experience? I think possibly he wanted me to pray more and from the depths of my soul.I go to church every sunday and sometimes during the week when I can(due to PD) I have been praying my Rosary. I love the Blessed Mother Mary very much for she directed me to her Son, Jesus, about 22 years ago and nothing has been the same! I am going to order the book on St Gemma. When I read that the Saints were also persecuted by the demons it gives me hope and makes me realize it is all in God's Plan in pruning us and making us grow stronger in our faith and our beliefs in God. Although such experience are not common for most people, it seems that God allows such assualts on certain individuals as a "purification" for the individual involved. This was certainly the reason in St Gemma's case, as Jesus told her that was the reason he allowed it. Such assualts draw the soul closer to God, Who, along with our Blessed Mother and the Saints, can provide assistance and comfort under such circumstances. So you are right, first and foremost to continue to go to the Mass, confession and the rosary. The saints tell us that these as the best weapons against evil and assualts of the demons. I found this interesting to read. I am a sinner. I continue the path of repentance everyday. I do not claim to be righteous, in fact I know I am lower than dirt. I was born in Egypt, with the label Christian. I moved to America when I was 9 years old. I was a fake Christian. You know, lip service to God. I was my own god and my own devil and sometimes I was the Agent of the Devil. Yet, the Mystery of God is stil to be revealed to many. Even though I led a life of routine church attentance and lip service of Jesus as my Savior, my One God was not going to abandon me. He blessed me much with material things. I lived 42 years really empty, yet by worldly standards I had it all. Then my life changed. My family took a vacation to Israel June 2012. Then within 8-9 months, a new spirit and heart was given to me. On March 13, 2013, I woke up with a force pushing me. Israel, Egypt and the world would not be the same. Egypt would need to return to the God of Abraham. Israel, would look for answers in the Cross. Individuals of all nations would need to repent of their personal sins, confessing their weakness and transgressions and resolving not to commit the same sin again by our One God. The Spirit of God has taken me on a journey where I had to learn to denounce hatred of anykind. 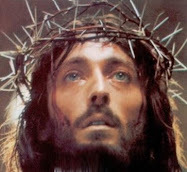 Do not error by exhibiting so called passion for the Cross when you hate His Family. No Christian should hate Jews, Muslims or any other being. The message of our One God was to see Good in all He created. You do not have the key to salvation. That my friend belongs to our One God. You are to be the feet of the Cross by example. Live a life that shows love for all, pray for your enemies. 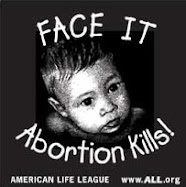 Pray for the healing of all Creation, not for destruction of any soul. Someone has to pray for the Devil. Yes, I do that now. I pray for past, present, and future generations to be forgiven of their sins and restored with our One God so that all may enter His eternal Day of Rest. This is very helpful.I got some ideas to apply for my son,he is fighting bad spirits.It happened 2 times.At the first,last December 2012,7bad spirits entered to his body,different voices,it really scared.He was very strong,in 3wks no food to take just water.I dont know what to do.But he won the battle in the name of Jesus Christ and Almighty God,Mama Mary and all the Saints.The second time it happened just few days,August 4,the devil command to my family that they will going to take the gold at the back of our house,and the devil sketch and how deep they dig a hole.And my family said,"if they will go,what will be replace or the change of the gold,he said the life of my son.We dont need the gold,important the life of my son.The evil ask so many things,he want a fresh meat,tobacco,or a child.My family holding so tight my son because he is very strong due to the devil in his body.Am so pitty with him.We keep praying,and showing the cross but he never open his eyes.My neighbors scared to come to my house.Please help me,and gve me more info so that my son will fight the devil.I need your prayers.My son name Reyjohn Ancheta. Pray I bind you Satan and all your demons in the name of Jesus of Nazareth and I plead the blood of Jesus over your son. Satan and his demons were all creatures whether we go with them in darkness or go to the light of God almighty due to them I was once bait by them almost go into hell due to my pride and avarice but soon I realize its not what God planned for me but to help myself & my brethren to rose up and cleanse our selves from impurity. Trust, love, and faith in the living and almighty God. Amen! If your suffering from demonic infestation - meditate on St. Michael's prayers & Blessed Virgin Mary - you can find these on religious [St. Pauls] stores and have them blessed by a Priest or Bishop. Blessed be our Holy God forever. Amen!